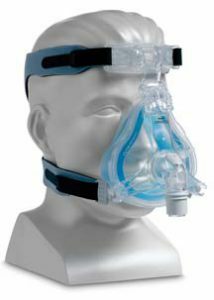 Full face CPAP masks might not represent the best solution for everyone, but there are many instances when such a mask is preferred. Full face masks are designed to be larger, more comfortable and cover up a wider portion of the face. These types of masks offer the greatest stability and comfort when compared to other types of masks (such as nasal masks). 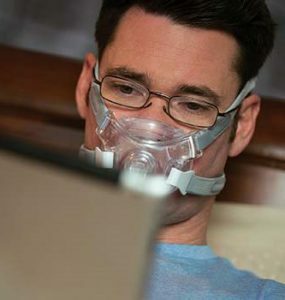 The full face CPAP masks for mouth breathers cover the nose and the mouth, and they are fitted with the help of side straps. These straps help to keep the mask in place, so they represent the perfect choice for restless sleepers, mouth breathers, side sleepers, etc. – Full face masks are preferred by patients who have a sense of claustrophobia while having to wear the nasal pillows or masks that make contact with the bridge of the nose. They find these masks uncomfortable, while the full face mask covers the entire face and doesn’t make contact with any pressure points on the face. 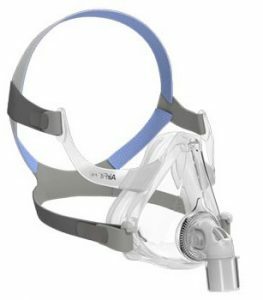 AirFit F10 Full Face Mask by ResMed – this is a full face mask that is completely lightweight, offering maximum compliance and comfort during therapy. The headgear and frame help to offer the best stability and comfort, so even restless sleepers or mouth breathers can use it without problems. AMARA View Full Face Mask– this is a minimal contact full face mask designed with a wide field of vision. This means the user can move around freely with the mask on, or perform tasks such as watching TV, reading, writing without any problems. The AMARA full face mask makes it easy to wear glasses while you have the mask, and thanks to the soft padding on the frame red marks or wrinkles are prevented. ComfortGel Blue full face mask – by Philips Respironics. This is a full face mask designed to provide maximum comfort, convenience, and quick compliance. The mask incorporates the Philips patented Blue Gel technology, which plays a key role in adapting perfectly to any facial structure. The mask will thus adjust very gently to the face, yet maintaining high adherence and seal. Patients who cannot become compliant with any other full face mask will find the BlueGel mask extremely comfortable from first wear. Wearing a nasal mask if you are a mouth breather will not bring you any therapy benefits. In such cases, the pressurized air that should get into your lungs will “escape” through the mouth. This is why it is important to choose a highly comfortable full face mask that provides maximum seal and efficiency for the required therapy. 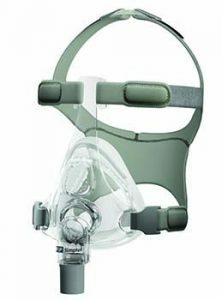 Simplus Full Face Mask– one of the best CPAP masks for side sleepers brought to you by Fisher&Paykel. The manufacturer did everything possible to design a full face mask that speaks about comfort and compliance from day one of use. Simplus, as its very name suggests is a mask that is very simple to use, handle and clean yet it outperforms many top range masks when it comes to efficiency. – ErgoForm Headgear- a headgear that is ergonomically designed to offer maximum of comfort. The headgear is made from high-quality breathable materials and allows patients to move their head without any restrictions. – EasyFrame- the frame is non-obtrusive, which means patients get a clear field of vision while wearing the mask. – RollFit Seal technology – the seal of the mask, rolls back and forth on the nasal bridge area to perform an automatic adjustment. This technology helps to reduce the pressure points on the nasal bridge area. When you choose a facial mask, it is crucial to keep several criteria in mind. For example, if you struggle with claustrophobia, you should choose a full face mask that feels comfortable and does not create pressure anywhere on your face. If you are an active sleeper, you also need a mask that provides a perfect fit. Nasal pillows might not be that comfortable, so again you should go for a full face mask. Read all the details and features of a mask carefully before purchasing one. Keep in mind that comfort, compliance, and therapy efficiency are the most important so choose accordingly. 1. If you are using a machine that has heated hose capabilities yo should look into getting one as this will solve the issue immediately. 2. If no heated hose you can try a hose cover. This will help to stop the cooling down of the air as it passes from the humidifier through the hose. This cool down is what causes the water to build up in the hose. Also please make sure that the CPAP Machine and hose is not on the floor. I have BiPap pressure settings of 23 Ipap and 19 Epap. I need a full face mask and I have no issues with a full face mask. I have tried Quattro FX, Amara View and now am using AirFit F20. All leak to the point that the sound of the leak constantly wakes me up. Doctor okayed to go to alternate pressures of 22/18 and it did not help. Sounds like next step would be ventilator if I can’t get the leaks to stop. I started with Cpap lower pressures late March 2017. Anyone have any suggestions on a high pressure mask? It would have to be full face. 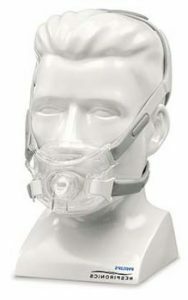 Dennis, You might try looking at the new ResMed AirFit F20 Full Face Mask. It has been rated for pressures up to 25 cm H2O. I’m useing the airfit f20 at 20cm/H2o and it leaks. I’m due for a new mask and I’m going to try the mirage quattro and if that doesn’t work I’m going to try the fitlife total face mask. I’ve heard people using it up to 40cm/H2o. I have an incredibly high setting on my BIPAP, per the doctor’s prescription. It’s set at 27 (yes, I have a special high pressure machine that goes to 30) and I’m currently using a Fisher & Paykel Simplus full face mask. I can’t use nasal masks. Problem is, no matter how tight I make it, it leaks, and the seal is destroyed by the pressure in 3-4 weeks. So, does anyone know a mask that will handle that kind of pressure? That’s pretty high. I’m at 4 but my machine goes up to 10-15 as I sleep. I would ask your doctor. I’m new to this but ask if you can go down on pressure. Do you have any facial hair? I did and had to shave for a good seal. I just received my CPAP not long ago and had some issues. I have a nose mask and can’t breathe thru my nose very well at night. I can’t sleep and keep waking up with my mask off. They told me to keep trying because they didn’t recommend a full mask. Finally, after begging them, I’m going to get fitted for a full mask today. I cannot wait because I haven’t benefited from my CPAP yet due to not sleeping good. Why wouldn’t they recommend full masks? Is it not any better having a full compared to just a nose? Just wondering why they wouldn’t give me one in the first place to try. I could ask my therapist what they recommend for your pressure but they don’t even want us wearing one for 10 but I’ll ask. Hope it works out for you. Mine is not quite that high but I have tried 7 different masks in an effort to find one that doesn’t leak. For me, I found the Mirage Quattro from ResMed worked the best. It is a full face and the straps allow for a tight fit. However, the straps do loosen over time so they need to be re-tightened. This mask does leak as it ages but two things helped incredibly: a Pad-a-cheek mask liner and the Pad-a-cheek strap pad. The combination of both of these allowed me to adjust the strap very tight and still feel comfortable. They are cotton and/or fleece lined and don’t get too hot in the summer. I bought several and rotate them out for cleaning (washing machine safe). Looking for full mask for long face and recessed chin. Side sleeper.